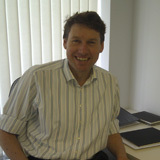 Oliver Wilson is a Musculoskeletal Osteopath in Weymouth with a special interest in neck and shoulder pain. He is registered with the General Osteopathic Council (GOSC). He has previously looked after Northants County Cricket Club and cast members of The Lion King. He has been using Medical Acupuncture as an adjunct therapy for 10 years.